Phase One are a Danish company that operate globally and are extremely popular with fashion and still life photographers. Well known for their medium format cameras, backs and lenses, they work closely with Mamiya and own Leaf. Current backs include the IQ180, an 80 megapixel medium format digital back. Of course, a back as powerful as this requires a processing program equally as powerful. Enter Capture One Pro 6. 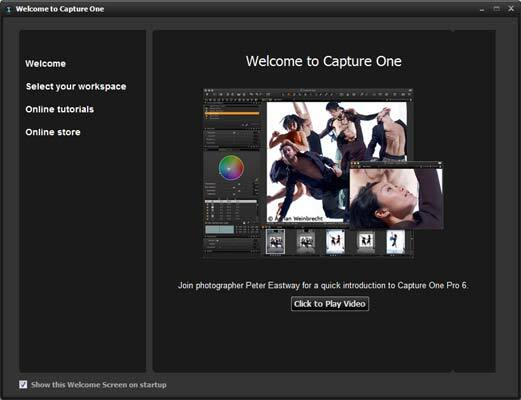 Building on the extremely popular Capture One name, version 6 offers several new features to play with. Capture One Pro 6 costs $399 / 299 EUR. We installed the program from the Phase One website and downloading it took less than ten minutes. Installation is even faster but there are a few things to do before you can start playing. Initially, to download the program, Phase One require you to register with them and create a profile. You have to register this profile against the software with an activation link and once that's done, it's time to experiment. You'll find two windows open at the beginning, one is the program and the other is a nifty welcome window with a few links to help if this is your first time using Capture One Pro 6. Especially if this is your first time, you may feel more comfortable using the simplified workspace. You can have the welcome screen open up each time you launch the program to access the tutorials and help pages whenever you need them. 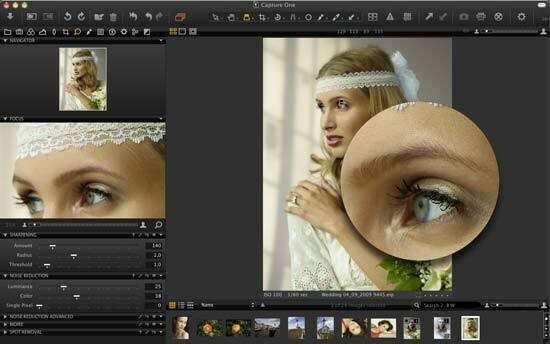 There are several ways to import and view your images with Capture One Pro 6. The most frequently used option will be the common import tool, although what I like about what Phase One have done is make it as simplistic as possible while retaining an air of professionalism. At this point, you can name the job which will then allow you to batch rename all the images or selected images in the folder. You can add numbers to the end to discern between them as well. You can add your copyright details here and all this information will be added to the metadata of each picture. Capture One Pro 6 supports tethered shooting and this can be done by selecting a new session in the file tab and using the tethered option there. Tethered shooting has a new Live View mode which will bring up the image on the computer screen in real time to allow for super fine tuning of focus, composition and lighting. Arguably the coolest new import device that Capture One Pro 6 offers is the Capture Pilot. You can download an app onto your iPad, iPhone or iPod Touch and link it via wifi to the computer you're tethered to. As soon as the picture appears on the computer screen, it appears on the iPad. This is a great marketing tool for clients wanting to see the shoot and it allows some space around the computer. For those of you who are enjoying the sudden popularity in DSLR videos, you will be able to enjoy the integrated video import feature. 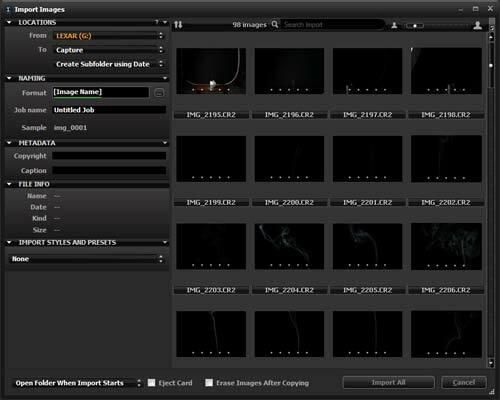 It's as simple as importing pictures, with thumbnails of the files displayed in the import window. Once they've imported, any videos will be displayed with an eye icon to indicate you can view but not edit them.